I was thinking the other day about what the holidays felt like for me, this time a year ago. My mastectomy had happen just a month prior and I was still sore and very devastated about the whole change and loss that my body was going through. I truly thought that I would never want to see another person again , that I could never want to go out in public. I couldn't believe that life would ever be normal or feel like normal again. I thought as I watched others get ready for the Holidays, how lucky they were that they didn't have to worry about their health. One of the toughest things (and I have mentioned this before) is to keep going after cancer. Trying to find a balance between worry, fear and wondering what the future will bring. Most people were thinking about Holiday parties, shopping and on and on. When I was wondering if my cancer would return, how hard radiation would be? Would I once again beat cancer or would I continue to fight it again and again? Yes, it was a tough time in my life. Here I am a year later, and actually not doing too bad. I am still tired, sore and uncomfortable from the Lymphodema but all in all, I am doing pretty well. I actually am preparing for our Neighborhood Open House this coming week. I have been doing some shopping and I am getting excited because all of our kids will be home for Christmas this year. And yet, I feel a bit guilty. I just don't want to lose the compassion for those around me who are battling life threatening illnesses. I want to remember them and try to not get so busy that I can't keep in touch with them or continue to visit and write them letters. I am grateful that I am on the other side, but I still remember vividly what it felt like. I think it is important to look around among our family and friends who are struggling during this holiday season, whether it be an illness or a loss. Please read this short story and let it be a reminder that no matter what our situation is in life, we can continue to do something for someone... no matter how big or small. Good night dear friends. In the 1930s a young traveler was exploring the French Alps. He came upon a vast stretch of barren land. It was desolate. It was forbidding. It was ugly. It was the kind of place you hurry away from. The man was using the iron pipe to punch holes in the ground. Then from the sack he would take an acorn and put it in the hole. 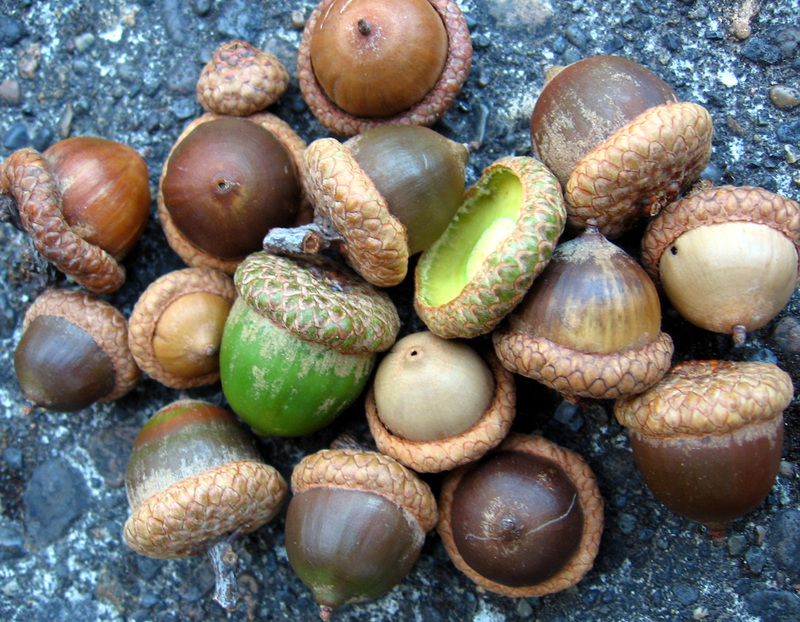 Later the old man told the traveler, "I've planted over 100,000 acorns. Perhaps only a tenth of them will grow." The old man's wife and son had died, and this was how he chose to spend his final years. "I want to do something useful," he said. Twenty-five years later the now-not-as-young traveler returned to the same desolate area. What he saw amazed him. He could not believe his own eyes. The land was covered with a beautiful forest two miles wide and five miles long. Birds were singing, animals were playing, and wild flowers perfumed the air. The traveler stood there recalling the desolation that once was; a beautiful oak forest stood there now - all because someone cared.